There are just 12 days left to back the Amazing Heroes Reborn 1/18 Scale Figures via Kickstarter. 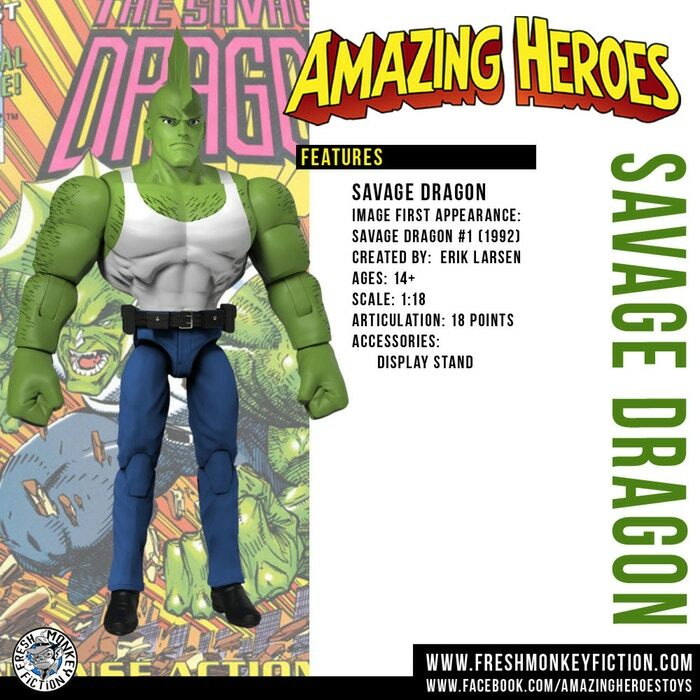 The fully articulated figures, by Fresh Monkey Fiction, feature an assortment of vintage comic characters and the Savage Dragon! The figures will stand about 4″ tall. They are looking for a total of $150,000 to fund the line, and they’ve currently raised just over $39,000. Check out the Kickstarter to pledge now. Our initial Amazing Heroes Retroverse line was inspired by our favorite toy lines of the 1980’s but fans have been asking for modern sculpted figures that were compatible with their current collections…thus AMAZING HEROES was REBORN! I hope this succeeds. A lot of people said they wanted this format as opposed to the 5 points of articulation. I am in. Jim Starlin (Thanos creator) will sign a certificate of authenticity, for your Dreadstar figure at $65. Comic Con is $63 for a day and $261 for an average hotel night, totaling $324.00. How much it can cost, just to get Starlin's autograph. So just go "All In / Signed Figure" in this Amazing Heroes KS. Millions of kids are growing up on MCU watching the Infinity Gauntlet movies. 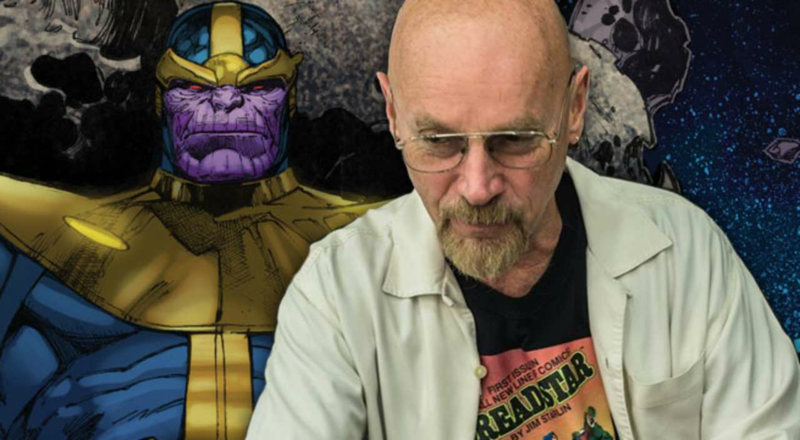 Who knows what they'll pay, years from now, for your authenticated autograph from thee hand who created much of it all - Jim Starlin. I'm not a huge fan of Kickstarter, but I'm really tempted to contribute. I would love that Madman, Devil, Jack Staff, hell, most of these to be honest. 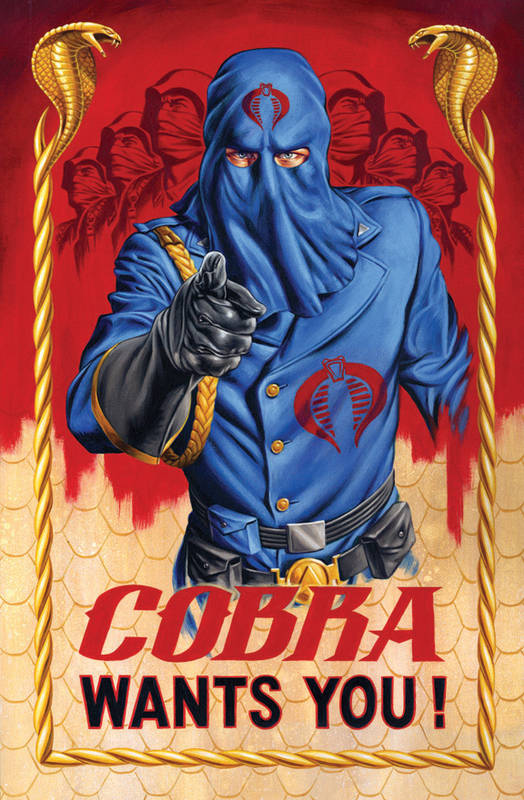 Tell all our G.I.Joe fans to get on these, too! 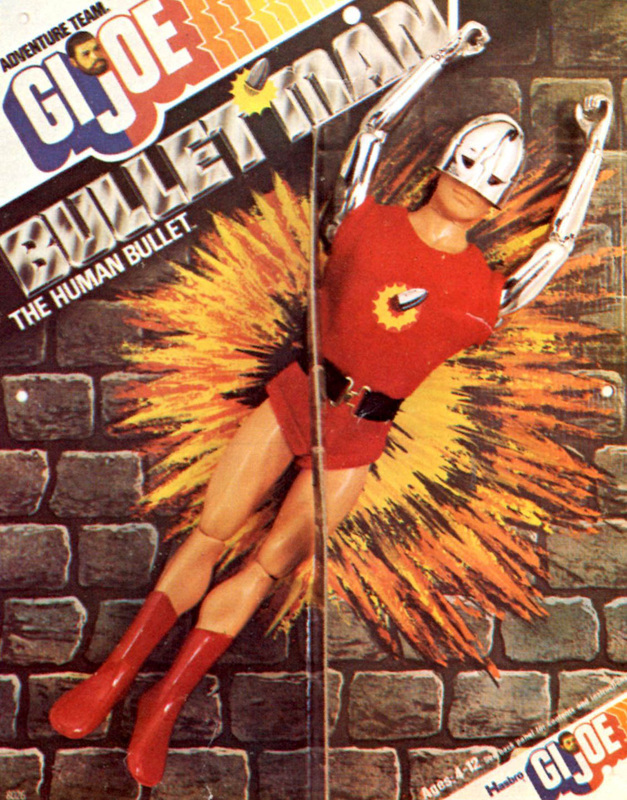 I remember a comic book ad for the G.I. Joe Club back in the 1980s. It had Duke doing an Uncle Sam pointed finger pose, too. Anyone got an image of that ARAH comic ad? Thanks Mods for front-paging this! 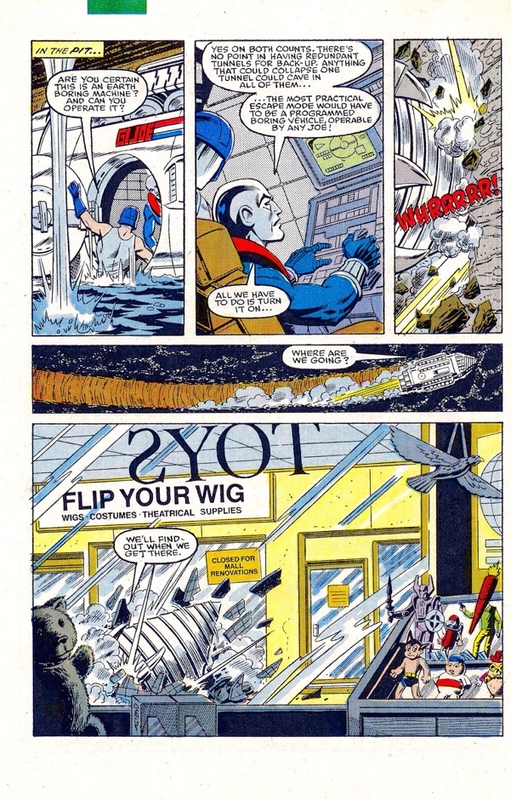 With its obscure connection to G.I.Joe maybe Hisstank can front page this too. We need all the help we can get for Uncle Sam. Devil and Jack are stretch goals. If you really want to help, dive in and get some Hydra goons. Disappointed the female figures got dusted off to the side. Hope this one does well enough to merit their release. Maybe it will be a female character for the "Mystery Figure" when purchasing the "All In" option. Let's hope that's the case. I've been looking forward to this Kickstarter for a while. I'm in for Beetle, but I really, really want a Flaming Carrot. These look promising, hope it reaches its full goals. Also, did not realize Remo Williams was a comic book character. The movie was all I knew it from. So that's kind of extra cool to have that to fit in with GI Joe Modern Era stuff. I don't recall comic books but there were a lot of Destroyer novels and a failed TV pilot. I think the concept is fantastic and I almost fainted when I read that there was going to be an actual Vanth Dreadstar figure produced. 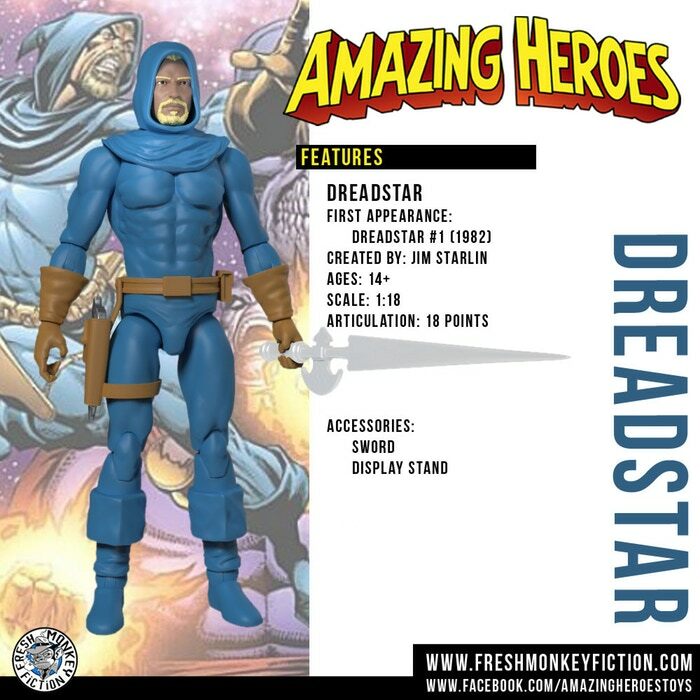 However, the digital sculpts for most of these figures, including Dreadstar, are actually pretty ugly looking. Hopefully these designs are revised and the final production figures look a hell of a lot better. 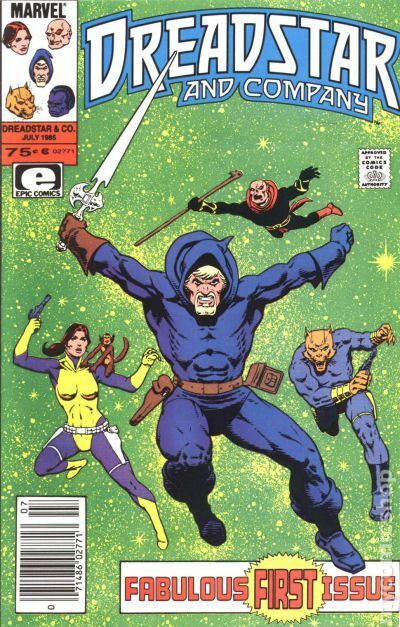 And for comparison, here's a picture of a Dreadstar custom I made myself, including a custom sculpted head and sword (note: I commissioned someone else to sculpt them for me. I did everything else). 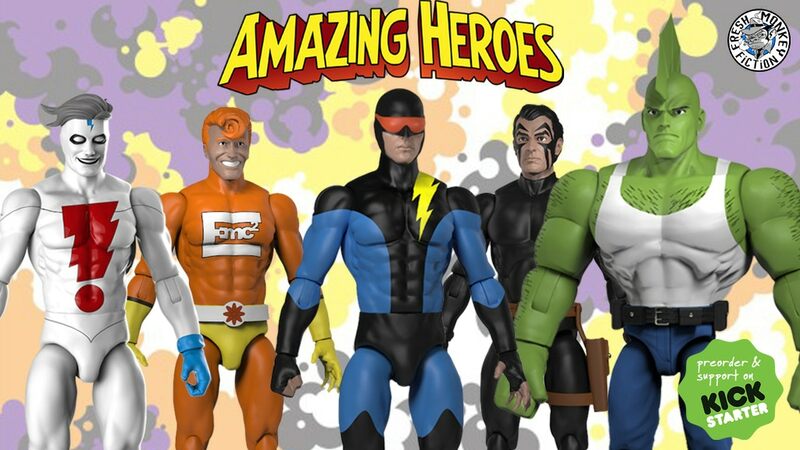 UPDATE: Amazing Heroes is Moving Fast + Monday will see a Press Release. "In less than 24 hrs we're 15% funded, that's a great start given we did a soft launch and only shared the campaign on Facebook! We'll start doing our BIG push on Monday with press and more social media. Please keep spreading the word, in order to make our funding goal we need to keep driving everyday for the next 30 days." Thanks again everyone! This is gonna be a fun ride. 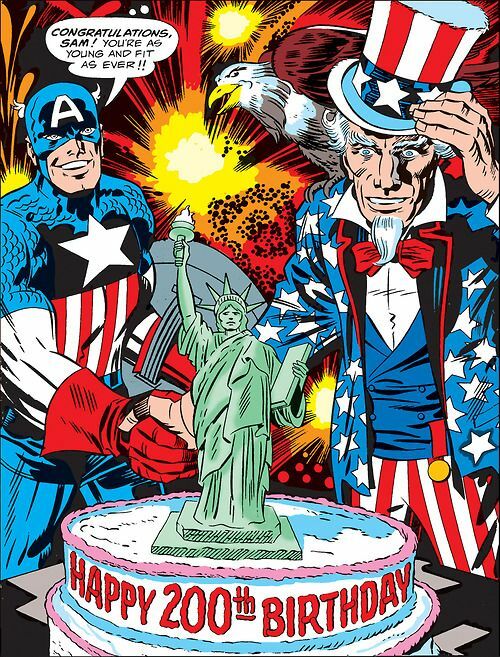 Marvel Comic fans, get your Uncle Sam figure, to celebrate legendary Jack Kirby's / Captain America's great Bicentennial Homage. So, for $20 you get the figure of your choice, which is very reasonable price for an independently-produced action figure. And despite my reservations about how the initial digital sculpts look, I feel like this project will turn out well and I fully intend to support it. However, I cannot get behind the $65 option that includes just a figure and a piece of paper signed by the creator. That's absolutely nuts, no matter how its shilled as "buying a piece of history." Um, no. Thankfully it's optional. I know it's wishful thinking, but I'm kind of hoping a big backer comes in, negotiates with them, and gets these into comic shops and other direct market avenues. So they can look into expanding the line to covering some other stuff too that would have been out of reach otherwise. Like some of the stuff at Awesome Comics that were creator owned, or other material from Acclaim/Valiant that wouldn't get anything made otherwise. Oooh boy, can't wait to be able to recreate my favorite Savage Dragon comic scenes, like when he creampies a girl and she spits it back into his mouth! Pledged! 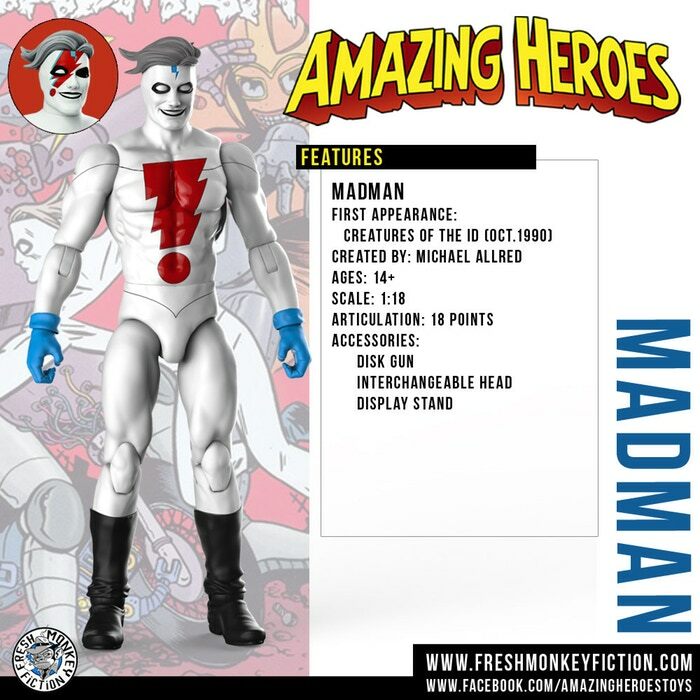 Another Madman figure to add to my collection. 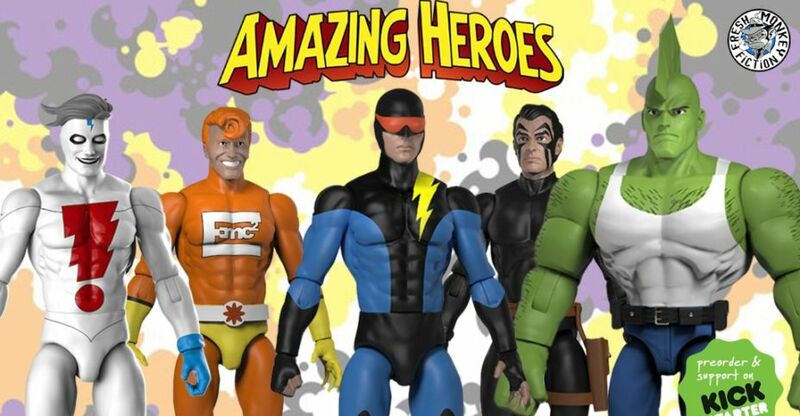 What other indie comic book characters can make for great future Amazing Heroes figures? That is just not going to work without a properly scaled cake topper. Need dem Savage Dragons for my 3.75" TMNT customs. Despite being skint I went for the 5-pack. I'll get more at a later date. Says they're not expected until 2020 right? Articulation and body proportion-wise, these designs look a lot better than most of the stuff being pushed out these days. DC Collectibles, please take note. Down for UncleSam and a couple Ameribots if it makes it!